Print measures 20 X 24 and would make a nice addition to any room! 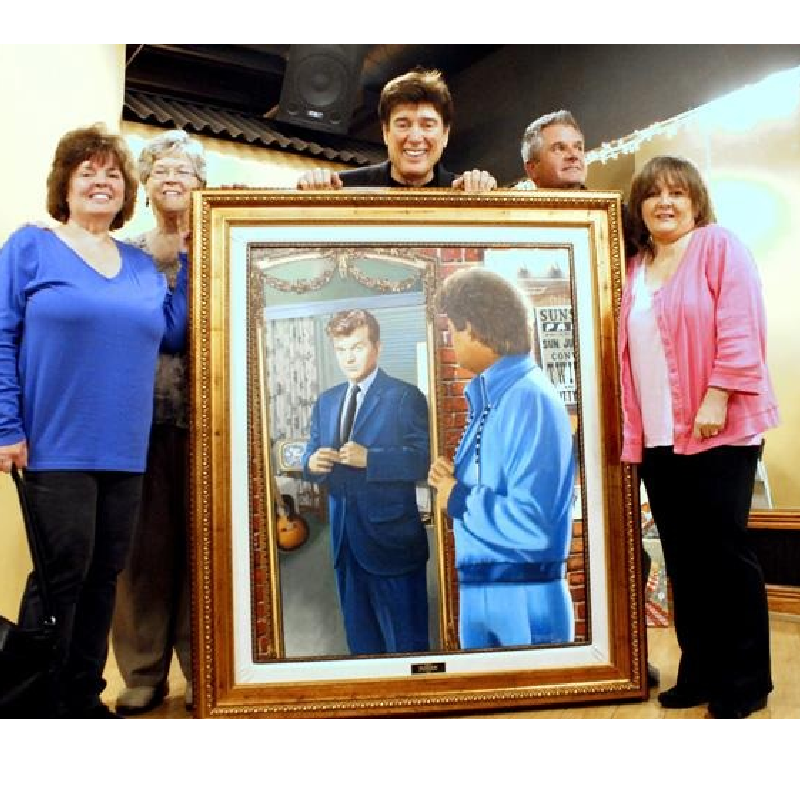 This is a replica of a painting done by Ronnie McDowell. The title is The Image of Me. 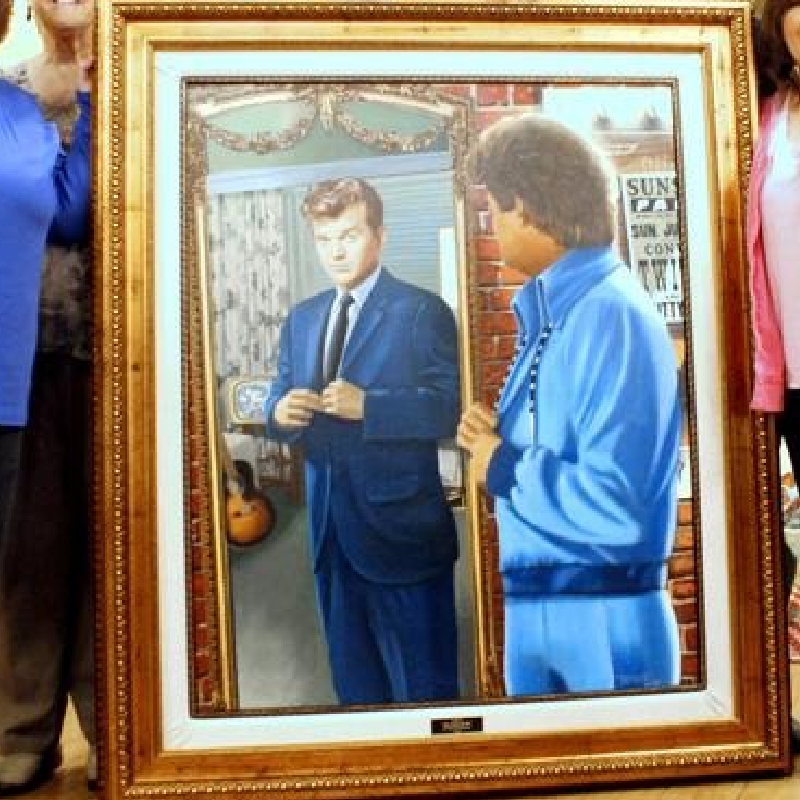 Ronnie waited for years for the perfect inspiration to come to him that would creatively reflect the love and admiration he had for his friend, Conway Twitty. 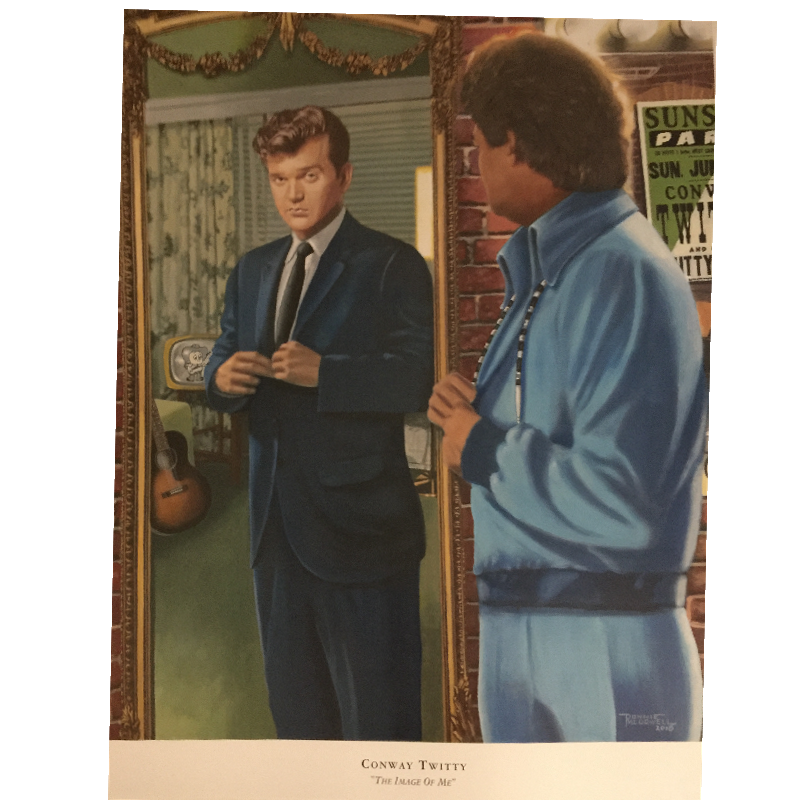 The Image of Me portrays an older version of Conway Twitty seeing his reflection of a younger Twitty in the looking glass. Twitty’s children, Jimmy, Kathy and Joni Lee Jenkins were present for the unveiling, as was Twitty’s sister, Jean Keeling.